A Polish journalist, reportage author and essayist. She studied English and American literature in Warsaw and in Aix-en-Provence. She has published texts in Gazeta Wyborcza, Tygodnik Powszechny, Polityka, Konteksty and Widok. In 2002, she received a prestigious Kościelscy Foundation Award for her debut book Rondo de Gaulle’a [De Gaulle Roundabout] – a fruit of one year spent alone during a journey through Africa from Casablanca to Kinshasa. She wrote also about dilemmas of multicultural societies, the situation of minorities, the attitude to the Other in Europe and in Middle East countries situated on the former route of crusades. Together with Borys Lankosz, she produced a documentary on Muslims in France for TVP (Z innej strony /From the Other Side/: France, 2006). She is working on a book concerning multicultural remembrance in a place in Cuiavia with which she is connected by a family story. 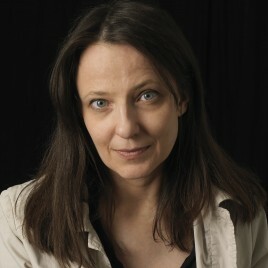 She is a member of the jury of the Ryszard Kapuściński Award for a literary reportage and the Beata Pawlak Award. She lives in Paris.